New Jersey State Senator Ray Lesniak has announced his plans to introduce lesgislation allowing citizens of other licensed gambling jurisdictions to participate on New Jersey’s regulated gambling sites. Lesniak, who has been one of the foremost champions of both online-gambling legislation and his state’s casino interests in recent years, announced his attentions on Wednesday to state-based news outlets. The bill would target residents of formally-regulated international jurisdictions, along with the states of Nevada and Delaware, the other two US states where online gambling is officially authorized to date. Any additional US states that open up online gambling would also have their residents welcome in New Jersey under Lesniak’s bill. According to a report in the southern New Jersey-based Courier-Post, Lesniak’s bill has yet to be written, nor has he established a timeline for doing so. Instead, it’s likely that Wednesday’s announcement was more a trial balloon for the concept in general. New Jersey’s online-gambling regulations contain at least two conditions that would have to be rewritten in order for Lesniak’s idea to become reality. First, New Jersey would likely have to revise its own mandate that online providers maintain those operations from a base physically within Atlantic City, the only venue in the state where such services can currently be offered. Whether that supposed expansion might also work as a back-door workaround for other casino interests that have hoped to build elsewhere in the state is one of the issues that Lesniak’s bill is likely to encounter, once it is introduced. The second issue is New Jersey’s requirement that gamblers on its state-regulated online sites be physically located within New Jersey’s borders. Currently, the state’s 16 licensed online gambling sites employ some of the world’s most advanced geolocation services to verify New Jersey residency by online players. 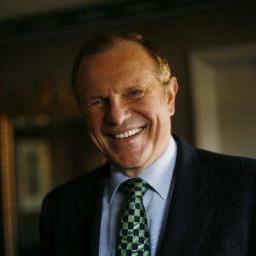 Those services woul have to be significantly increased or abandoned altogether under Lesniak’s proposal, since not all of the jurisdictions – particularly of the international flavor – are likely to employ as rigorous of geolocation standards for international players as is practiced in New Jersey or the other two regulated US states. 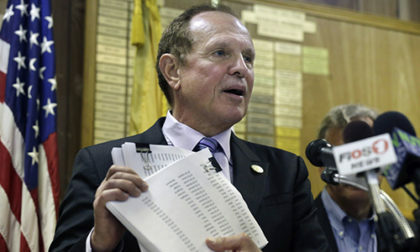 One thing Lesniak’s bill would accomplish is a unilateral expansion of New Jersey’s market, one that might offer a lifeline to the one part of the state’s online offerings that are in some trouble – NJ online poker. New Jersey has had difficulty negotiating direct compacts with its online-regulated brethen, Nevada and Delaware, owing to the operational-base rules and differences in tax rates. Lesniak’s bill would essentially eliminate the need for such compacts, though it does raise other issues that those other jurisdictions would then have to face. One possibility would be regulated online sites across the world adding New Jersey back to their lists of approved jurisdictions, something that might negate the intent (and blunt the impact) of Lesniak’s proposal.